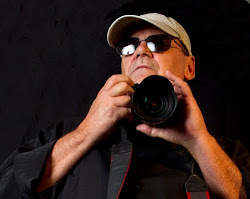 The adventures of Danny Raustadt, international award winning professional photographer. Moving On To 2011... and a very Happy New Year! Copyright © 2010. Bigger Picture Images. Images cannot be copied or reproduced without the expressed written consent of Bigger Picture Images. For me, 2010 wasn't all about fun things. It also brought some sadness. passed away on November 21.
and architecture... and photographing events for Arizona Foothills Magazine. And, I was honored to be voted "Best Real Estate & Interiors Photographer" in Arizona Foothills Magazine's "Best of the Valley 2011." which featured artists from ZenArts.com. Using only available light (no flash) to capture the dramatic "Indiana Jones" look. Using only the available stage lighting (no flash). For several days, I tagged along with WWE Hall of Fame professional wrestler Sgt. Slaughter as he went to various events to promote WWE's upcoming Wrestlemania XXVI. The Sarge wears custom made "golfing boots." "Rowdy Roddy Piper", Piper's son, Cole, and the Sarge in a deluxe suite at WWE's Wrestlemania XXVI. Rowdy now tours the country as a standup comic. Sgt. Slaughter asks NASCAR driver, Jeff Gordon, to face me for a photo op. I traveled to Las Vegas to photograph the nationally televised Miss USA Pageant. Prior to the airing of the pageant, I met Donald Trump. It didn't take much coaxing for us to get Donald Trump to shout, "You're fired!" Don't adjust your monitor. Yes, Donald's skin is orange from an airbrushed tan gone wild. Miss Michigan USA, Rima Fakih, was crowned Miss USA 2010. It was quite a trick to get her attention... given the media madness and distractions. During the commercial break, makeup artists and hair stylists made quick adjustments... and transformed Miss Michigan into the new Miss USA. Rima managed to give me a glance or two despite many pageant distractions and chaos. I had a chance to meet the beautiful Miss Universe 2009, Stefania Fernandez of Venezuela. Miss Universe 2009, Stefania Fernandez, takes time to show me her beautiful smile. Donald Trump's friend Joan Rivers attended the Miss USA Pageant. A model friend, Summer, asked if I would photograph her baby son, Oscar. Oscar is the nephew of fashion designer/illustrator Angela Johnson. Baby Oscar enjoyed his very own studio photo shoot. I photograph architecture, resorts, and home interiors for my clients. But, because I love architecture, I also spend time photographing these things for my own enjoyment. San Xavier del Bac mission near Tucson. Brittany Bell, Miss Arizona USA 2010, and I had fun filled afternoon photo shoot. I photographed closing night of the Phoenix Film Festival. It was a special treat for me because I was an extra in the featured film "Middle Men." When I asked the movie's director if I could take his photograph for the magazine, he said, "Hey! You're in my movie!" He went on to say with a smile, "Your scene is short and goes by very quickly. But, we didn't cut you out." Candid shot of actor Luke Wilson, star of the movie Middle Men. Arizona Foothills launched their "Face of the Foothills" model search. Hundreds of models throughout the entire state (and beyond) responded. Ten finalists for Arizona Foothill's "Face of the Foothills" model search. One of my pet projects for 2010 was to capture various facial expressions and funnies for ad material. Arizona's new law SB1070 caused a stir around the world. Singing sensation Shakira appeared in a press conference at Phoenix city hall to voice her opposition. highway and totally cracked me up! I photographed fashions for Los Angeles designer Kay Lim. Over the years, I've photographed tons of NASCAR cars on the track. This time I wanted to capture a more up close and personal side of NASCAR racing. Driver Kasey Kahne chats with fans before the big race. Behind him is driver Kurt Busch. Driver Jimmie Johnson talks things over with his crew chief, Chad Knaus.